Prevent pigment flocculation, increase storage stability. Improve color strength, gloss and reduce viscosity. 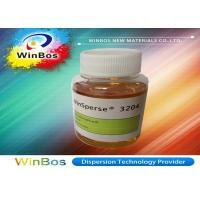 Add directly as dispersant to aqueous ink, paint and color paste. Dissolve the dispersant in grinding solvent before adding pigment. 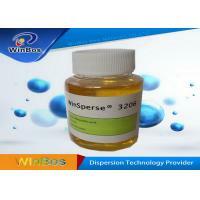 Store in cool and dry places, good for 2 year. 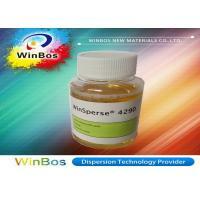 After partial use, re-seal the container. 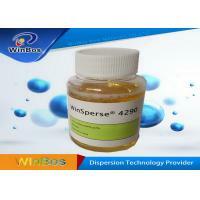 WinBos New Materials Co., Ltd. is established in 2006 by three American chemists as a wholly foreign-funded enterprise, solely for the research, development, production and sale of high performance dispersants for solid and liquid dispersion systems. 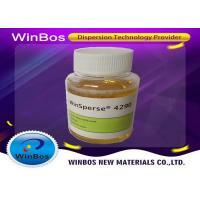 Under the leadership of Dr. Zhongli Zheng, a Yale chemistry Ph.D. WinBos as an expert solution provider of dispersion technology has now become a flagship company of wetting & dispersing agent, pigment modifier product. 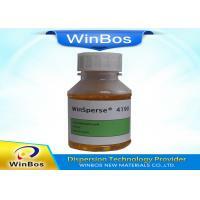 The WinSperse series of wetting and dispersing agents have now been widely used in pigments, paint/coatings,inks, plastics, color paste, inkjet ceramics, lubricating oil,pesticides, graphene and other industry. The products are sold to Asia, Europe and many other countries. 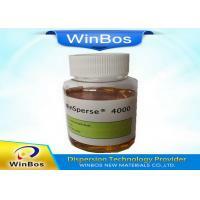 WinSperse has become a well-known brand in the industry. The company has an integrated system of research,development, and technical service, with advanced analysis and testing equipment. We are incorporating Industry 4.0concepts with ability to customize products for customers and provide a technology solution to dispersion applications.The company has passed ISO9001 quality management system certification, each batch of products are traceable to ensure product quality and stability.